Tonight I made a bunch of yummy things! 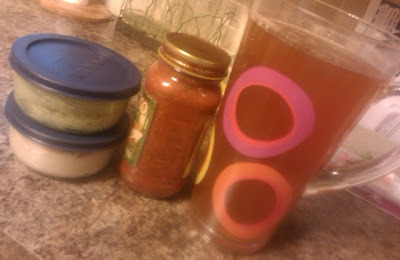 I made the green tea as part of the "Try It" Challenge being hosted at Peak 313 Fitness. Each week, Clare gives a new food and several ways to try it out. So far, all 3 have been foods I already eat regularly, but I have found new ways to enjoy them all! Week 1 was Greek yogurt. 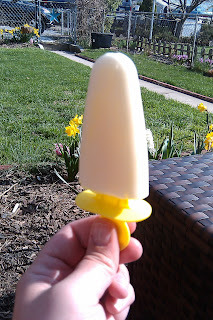 I tried "FroCho" Pops - definitely a keeper! Week 2 was Breakfast Quinoa (pronounced 'keen-wa' unless you are my mother, in which case you would say 'quay-no') This is AMAZING! I followed Clare's recipe, and it is not only delicious but it is filling. It kept me from feeling hungry for at least 4 hours. Week 3 is Green Tea! I brewed a batch of the Jasmine Mint Green Tea tonight and it is great! mmm, sounds like lots of lovely delights! The FroCho pops look very refreshing. Really enjoy reading your posts! Love it Jess! You are doing a great job!! Thanks for the encouragement to me!